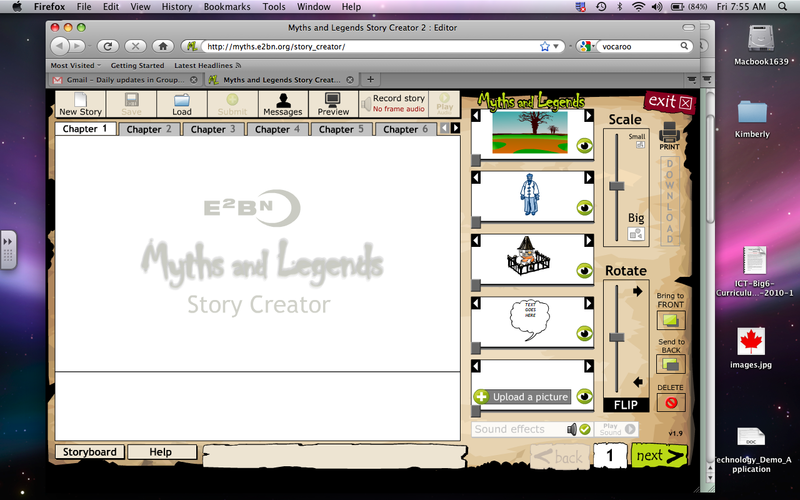 This morning I was checking my daily updates from one of my Diigo Groups and I was excited when I checked out this Myths and Legends Story Creator site. I can already imagine how I can use this with my students. In a myths and legends unit or integrate it into some project based learning this would be a fabulous way for the students to create stories. I can think about the discussions and planning that will happen then once the students start using the story creator their stories will come alive. The site has free membership which is a bonus. Each year I create a class email account for my students to use for sites like this that allows me to create a class account on web sites. It’s so much easier if all of the students are using the same password. Occasionally this creates a problem if the site has difficulty managing so many users on the same account but then we adapt. I would want to see if we could embed the story on our blogs but if not we could probably using screen shots to post the story. 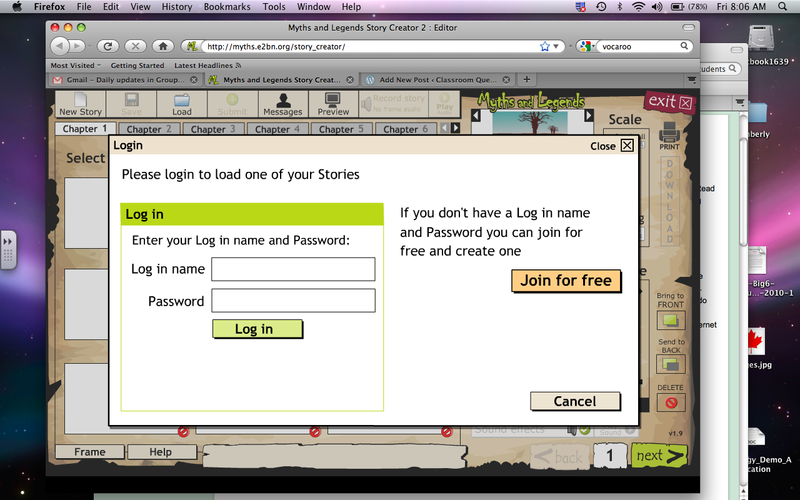 I could also envision using the screen shot pictures and using iMovie to create a movie. I think I might be getting ahead of myself here. I’ll have to play around with the site then introduce it to my students. We could have used it for our Solar System unit to tell stories about the constellations, hmmm…maybe I can incorporate it into my current project “Oh, The Places You’ll Go.” I’ll let you know how it turns out.